The first ever biography of Paul Brickhill, Australian author of THE GREAT ESCAPE, THE DAM BUSTERS, and REACH FOR THE SKY, the biography of Douglas Bader. From his grandfather's and father's exploits in journalism, which began in Launceston, Tasmania, Stephen traces Paul Brickhill's life, from Melbourne to Port Pirie to Sydney, his boyhood friendship with actor Peter Finch, and his own journalistic career before he joined the RAAF and became a Spitfire pilot. From there, we follow Paul's exploits as he is shot down in North Africa and is captured and sent to Stalug Luft 3, and his participation in the Great Escape. 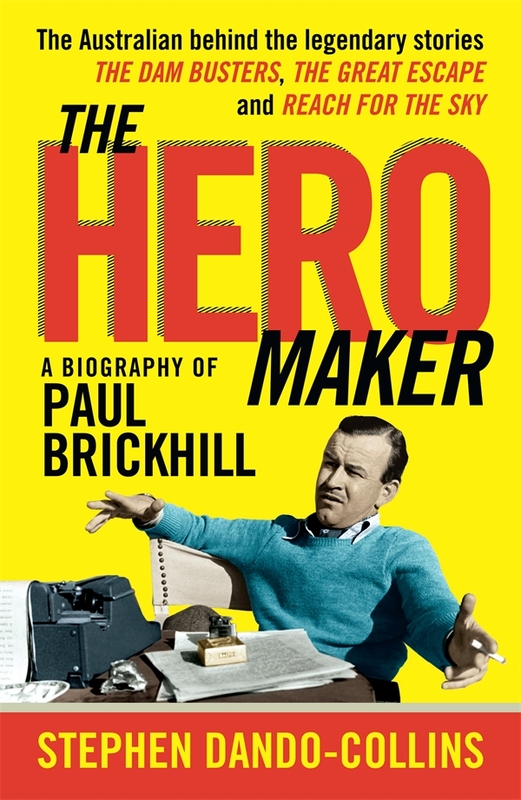 The book goes on to tell of Paul's postwar success in England as he became the bestselling author in Britain, as he struggled with drink, a disintegrating marriage and difficult characters such as Douglas Bader, before a return to Australia and decades as a recluse.